Recently, we have been receiving inquiries on how to delete an employee from a FingerTec device if he/she has resigned from their company. The following steps will guide you on what needs to be done through TCMS V2 if an employee resigns from your company. The first step is to delete the user from the terminal because the user who has resigned must be blocked from accessing the door. 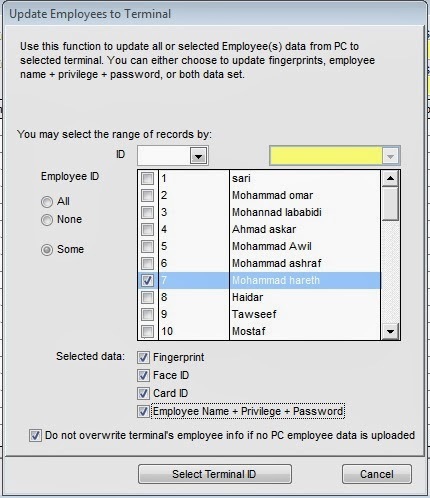 To delete the user, open TCMSv2 > Device > Employee Management > Delete Employee (Terminal) > select the User to be deleted > tick the Selected data to be deleted > Select Terminal ID > Apply. Please ignore this step if the deleted user was using a normal User Privilege. If the resigned user is the “Supervisor” for that device/terminal, the device will not have any supervisor after the deleting process has been completed, allowing normal users to access the menu without being blocked. 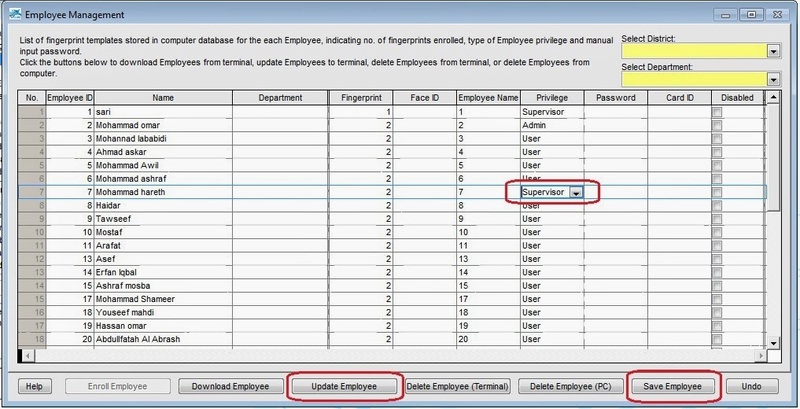 To set up a new “Supervisor” privilege, open TCMSv2 > Device > Employee Management > change Privilege to Supervisor > Save Employee > Update Employee > Select User to be updated > tick the Selected data to be deleted > Select Terminal ID > Apply. This step is done to hide the resigned user from the Attendance sheet and Report so that you will only see active users in TCMSv2. Go to Employees > tick Terminate for resigned user > Save. Before ticking the Terminate box, you can check to see if both users (ID1 and ID2) are still available in the Attendance sheet. This is how the Attendance sheet looks like after ticking Terminate for both users (ID1 and ID2). 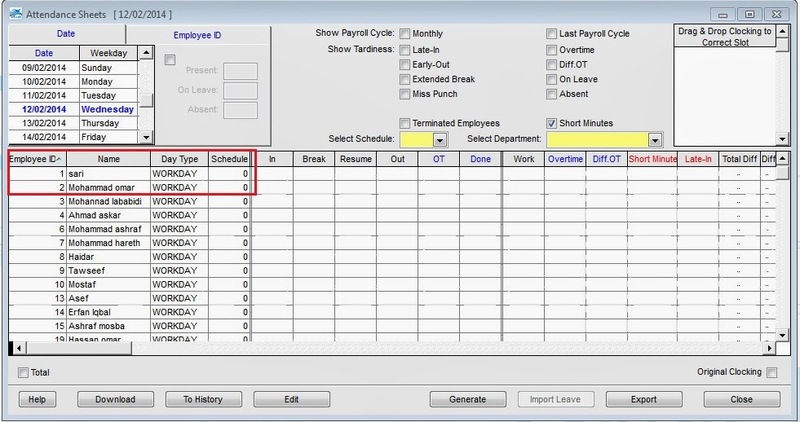 But you can still display both terminated users by ticking Terminated Employees in the Attendance sheet. You can also hide all terminated users from the Employees window (Refer below). Why i can not find terminated employees in attendance sheet? To preview terminated employees in Attendance Sheet, Please tick "Terminated Employees"
Actually the step is depend on customer environment. If a normal user, you just follow the step number 1 , after that Go to Employees > tick Terminate for resigned user > Save. And if the terminate user is Supervisor/Admin, you need to assign privilege for new Admin/Supervisor. 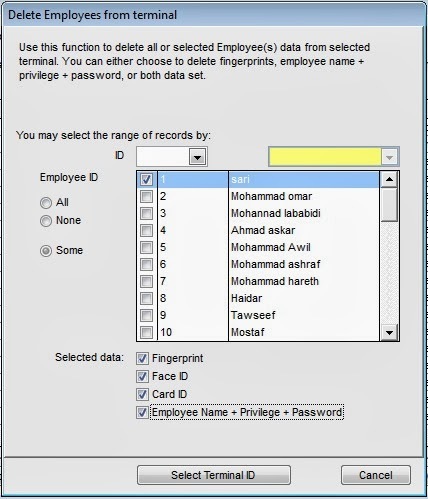 I already delete the employees in the system, when i open thru website, the name still appear? Please let us know which website are you referring to? Please also explain how do you delete the employees in the system. Dont you also delete from the PC? In which order? In regards to your inquiry, may I know what is the exact issue happen to your software, kindly brief the issue in details for better understanding about it. Appreciate your feedback.